National Dog Day, held earlier this week, honors all of the dogs in our lives but there are some dogs that are truly heroic, as evidenced by the 2015 American Humane Association Hero Dog Award nominees. From dogs like Glory that can help detect cases of arson, to service dogs working overseas like Axel and law enforcement dogs like Dax, dogs are capable of some extraordinarily heroic tasks. The 2015 American Hero Dog will be announced at a awards gala Sept. 19 in Los Angeles (if you’re interested in voting, check out their site to vote now until Sept. 7). While the American Hero Dog will have achieved some amazing feats, hero dogs exist in all shapes and sizes. Here are some puppy heroes who work hard day in and day out to help those of us on two legs. A dog’s sense of smell is more powerful and discerning than a human’s, meaning dogs can pick out target odors in a sea of odors. This makes many breeds great for search and rescue. Dogs are trained to follow specific scents in different terrain and weather conditions, and to identify cadaver scents in bodies of water. Handlers sharpen their skills with regular training sessions. Some dogs, like Glory, one of the American Hero Dog nominees, are trained to track lost pets, reuniting families with their furry friends after long, sometimes grueling searches. Hearing dogs assist individuals who are deaf or hard of hearing. These dogs are known as signal dogs, and alert their owners or handlers to certain sounds like smoke alarms, the doorbell, alarm clocks, horns and sirens and much more. On the other end of the spectrum, guide dogs are specifically trained to assist the visually impaired and blind. Also known as seeing-eye dogs, these pups mostly help individuals around various physical obstacles, directing individuals in their daily lives and getting their owner get from place to place safely. These dogs are truly heroes in the lives of the many who rely on them to live normal, safe lives. Therapy dogs are dogs that go with their owners to volunteer in settings such as schools, hospitals and nursing homes, performing such tasks as working with a child learning to read to visiting seniors in assisted living facilities. As the AKC notes, therapy dogs work to improve the lives of other people. One of the American Hero Dog nominees, Hudson the Railroad Puppy, visits schools, hospitals, adult day care facilities and hospices with his owner, inspiring all he meets. Law enforcement dogs are specifically trained to assist police and other law-enforcement personnel in their work, including such tasks as searching for drugs and explosives, locating lost people, looking for crime scene evidence and protecting their handlers. In the military, dogs have historically been used for a variety of jobs, but today they are more commonly used for law enforcement duties. American Hero Dog nominee Rambo served in the Marines as an explosives detection expert, helping save the lives of the men with whom he served. Service dogs work with people with disabilities other than vision or hearing impairments. These dogs can be trained to work with people in wheelchairs, individuals with balance issues and various types of autism, those who need seizure alert or response, and patients with other medical issues, like low blood sugar or who have psychiatric disabilities. Service dogs can help by retrieving objects, opening and closing doors, turning light switches off and on, providing deep pressure and balance and counterbalance and more. 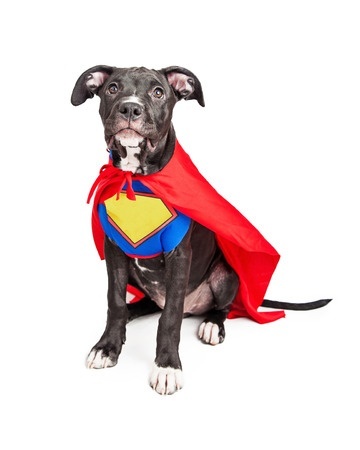 There are many more specific types of hero dogs as well, but one thing is for sure: any dog truly can be a hero. From the way our dogs get excited when we get home from work to cheering us up when we’re feeling blue, all dogs are heroes in their own way. They improve our lives by their mere presence, save us from ourselves, and are capable of so many amazing things — no wonder we consider them our best friends!